In accordance with the Patient’s Bill of Rights, a medical care facility should have a written policy that states the patients’ rights. Each patient should have access to this policy whenever required. The patients should be aware of their rights so that they know how concerns can be addressed and what to expect from nursing assistants. CNAs should also be aware of the patient’s rights so that they can follow it when providing care. According to the Bill of Rights, the patient has the right to know about their health condition, diseases, and the prescribed treatment. The patient also has the right to choose the primary care provider at a facility he prefers. 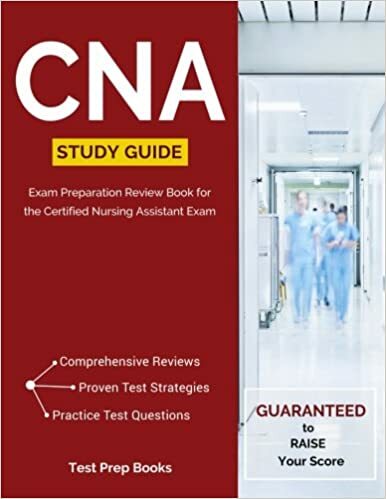 Therefore, the CNAs should answer any health-related queries that are within their scope to answer. Examples include a change in vital signs or temperature changes. As a precaution, the CNA should first inform the supervisor before providing any health-related information to the patient. The patient has a right to know about any fees and charges that he/she may incur during her stay in the hospital. In some cases, the charges may not be covered by Medicare or Medicaid. Therefore, the patients should be provided any information they may need to know about financial transactions, records, bills. The patient also has a right to privacy and confidentiality. The CNA should ensure that the patient is provided privacy as needed. Examples include, not interrupting the patients’ private conversation with family members, not sharing information with the patient’s family without the patient’s consent, knocking the door before entering the patient room, or putting curtains when dressing the patient, so that the patient’s private parts are not exposed. The patient has a right to voice their opinions about the quality of care provided by the nursing assistants or other healthcare staff. Residents should not be criticized or threatened for any negative opinions. The CNAs should also ensure that the resident does not experience any physical, mental or sexual abuse in the facility. Any signs of abuse should be immediately reported. The resident has a right to safety and security in the medical facility. Any neglect or harm to the patient from the healthcare team such as threats or beating can result in a legal liability. The Patient’s bill of rights provides protection to patients and the CNAs should know what is and is not in it. For instance, a patient cannot demand a transfer to another facility only because they do not want to be in the hospital. Similarly, in an emergency situation, the patient cannot take his/her own decisions and has to be treated by the doctor. Therefore, knowing the bill of rights will help CNA take proper healthcare decisions for the patient and also protect their rights.